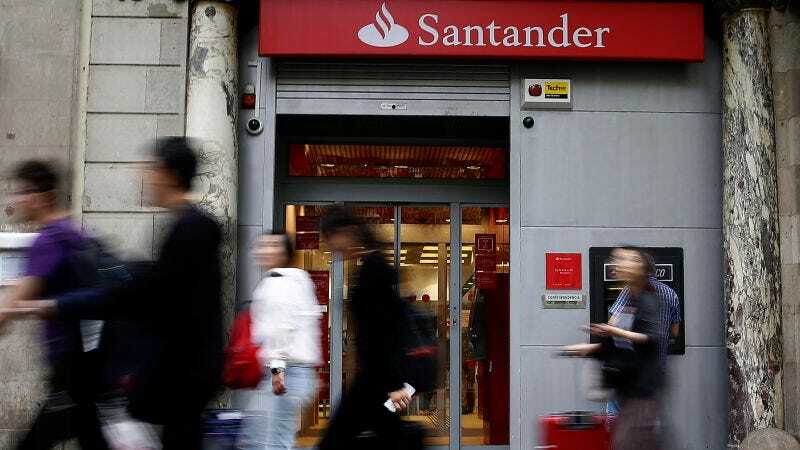 Santander Consumer USA, the subprime auto lending subsidiary of the Spanish banking giant, has replaced its chief executive following years of regulatory scrutiny that has mired the company in controversy. The company announced the move on Monday, according to the Financial Times, and said that Jason Kulas, the CEO for just over two years, is leaving Santander to “pursue other opportunities”—which is generalized codeword for ... something. In his place, the bank installed Scott Powell, who takes on the job in addition to his current role as chief executive of Santander’s US holding company. Santander owns 59 per cent of Santander Consumer, which is listed in New York and makes auto loans to risky borrowers. Last year, it admitted to errors in the way it accounted for loans bought at a discount from car dealers, saying that its financial statements for 2013, 2014 and 2015 could no longer be relied upon. Having three years of borked financial statements is one thing, but Santander has been on the receiving end of scrutiny from a vast array of regulators, including the Massachusetts and Delaware state attorneys general, who earlier this year announced a $26 million settlement against the company for shoddy subprime loans. As we reported last month, the Massachusetts AG said that Santander had funded “unfair and affordable auto loans” to more than 2,000 residents in the state. Santander neither admitted nor denied the allegations. The company, since 2014, also received subpoenas and civil investigative demands from at least 28 state attorneys general over its lending practices. In 2015, it paid a near-$10 million settlement for illegally repossessing more than 1,100 cars that belonged to military service members, a violation of federal law. The decision to bring in a fresh face comes amid flagging sales in the auto industry, and new CEO Powell reportedly said it was an “interesting time” for the lender. And though subprime auto lending has tailed off over the first half of 2017, as many institutions have grown increasingly worried about an uptick in default rates and a growing bubble in the market. Ford Motor Credit says it is looking at ways to increase loan and lease approvals for applicants with limited credit histories. These consumers are often denied credit because they lack a history of managing debt and as a result have low credit scores. Ford’s credit division plans to review new data to try to determine whether these customers, as well as those with more robust borrowing histories, are likely to repay their loans. Ford said it doesn’t believe losses will grow under this model, the WSJ reported, because more data than before will be reviewed on applicants. But if this is Ford’s answer to a decrease in sales, at this particular moment, it seems like a peculiar gambit.